The International Development Program (IDP) has successfully been expanding since it was created in 1995 as one of the pioneer programs in the field of international development in Japan. This site explains the program overview. Within IDP are 3 specialized tracks, each with its on information page: The original MA program offered is in an MA in International Development. A second concentration was added in 2011: MA in Economics. Similarly, for those coming to IUJ from central banks and finance ministries sponsored by the IMF in the JISPA, it offers a 3rd track labeled Macroeconomic Policy Program or MPP, awarding an MA in Economics. Overall, IDP is designed to educate future leaders in formulating and implementing economic as well as public policies geared for social and economic development. The MA degree programs within the IDP are public policy oriented, and the IDP has earned its high reputation through rigorous academic training. Since its launch, several hundred civil servants and policy makers from more than 30 countries in the world have been registered as students of the IDP. While most of our alumni work in important economic and public policy formulating agencies (e.g. central bank, ministry of finance, and ministry of trade), some have joined major international development agencies such as the United Nations Development Programme (UNDP), the World Bank, and the Asian Development Bank (ADB), where they play vital roles in formulating development polices leading to improving the welfare of the developing world. The IDP offers two MA programs: MA in International Development and MA in Economics. The IDP is one of the four partner programs of the IMF under the JISPA scholarship programs in Japan, and launched a new program named Macroeconomic Policy Program particularly designed for the IMF scholars, which focuses on more macroeconomic issues. Since 2005, the IDP and the English language program of IUJ have also been entrusted by the IMF to run refresh training courses every summer for all IMF scholars in Japan. The IDP is the first program in Japan to be allocated JDS (Japanese Grant Aid for Human Resource Development Scholarship) scholars. The IDP is a designated program for Japan International Cooperation Agency (JICA) long-term scholars, who are government officers from the recipient countries of the Japanese ODA. The IDP has been selected by the Indonesian government to run linkage Master’s programs with three Indonesian universities, under which students are awarded double Master’s degrees. The IDP has been appointed by ADB (Asian Development Bank) to train their scholars. The MA degree programs within the IDP are public policy oriented, and the IDP has earned its high reputation through rigorous academic training. Since its launch, several hundred civil servants and policy makers from more than 30 countries in the world have been registered as students of the IDP. One of the core values of the IDP is the diversity in nationalities, personal experience, and goals of enrolled students. The diversity provides enrolled students with one of the most valuable environments for learning about development issues. Faculty members are anxious to develop an academic environment in which the exchange of different ideas among students can take place in an effective manner. While concepts and theories discussed in the core IDP curriculum reflect the experience of various countries over the world, many applied courses are offered that compare development policies across countries with a focus on the development experiences of Japan and other Asian economies, including NIES, ASEAN countries and China. This is conveniently complemented by IUJ’s location in the heartland of rural Japan and its proximity to some of Asia’s most successful agriculture and technology centers. Development issues and problems are interdisciplinary in nature. The cultural, historical, and political dimensions of a country and its issues are as important as the socioeconomic context. As a result, IDP students can enroll in the political science and area studies courses offered by the International Relations Program (IRP) and the International Peace Studies Program (IPSP) in the GSIR without any restrictions. Furthermore, students have the option to enroll in courses offered by the MBA program in the Graduate School of International Management to gain deeper insight into corporate policymaking in management, marketing, and finance. 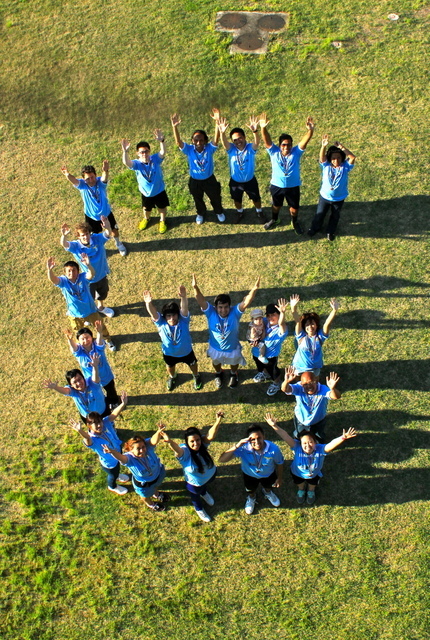 All students are completely functional in English as it is the only official language at IUJ. Both coursework and official communications are conducted in English. Thus, it is not necessary to have a prior knowledge of Japanese in order to study at IUJ. Every effort will be made to assist students in obtaining information on Japan that is available in English. In addition, for non-Japanese-speakers, IUJ offers an excellent Japanese language program for students without any prior knowledge of Japanese. Japanese proficiency will open opportunities for students to serve as a liaison between Japan and their home countries after their return and/or to find jobs in Japan. Many students are supported by a variety of scholarships offered by different organizations including the ADB, IDB, IMF, JICA, JBIC, Jinnai, Matsushita, Mitsubishi-Yamamuro, and the World Bank. The IUJ Scholarship Fund was established by the Japanese business community in order to offer scholarships to students from Japan and from other countries. This track is also supported by a number of organizations (corporations, governments, and central banks) that send their employees to us. While this track enjoys the support of many organizations, it is beholden to none as it is an independent program with its own mission and objectives, completely free from the interests of any of these organizations. The program is designed not only for students who wish to pursue careers in the public sector, international aid agencies, or international organizations but for those who wish to work in consulting firms, research institutes, financial institutions, and other private sector companies. Students who successfully complete the IDP receive a Master’s of Arts degree in either International Development or Economics, depending on their choice of the degree program, in which the requirements differ. What can students expect to accomplish in the IDP? In a much wilder scope and with academic rigor of theories, in view of the historical experiences of other economies. IUJ is located in a village in Japan, rich in traditional Japanese culture, an ideal location to study the socio-economic development of Japan. The program provides trains students to use database management, statistical analysis, quantitative analysis, and communication and presentation software. While completing coursework, students will utilize software packages such as E-Views, Stata, TSP, Statistica, SAS, Mathematica, Gauss, LINDO, GAMS, FORTRAN, Excel, Access, and Power Point. to analyze the identified problems systematically by applying appropriate theoretical frameworks, using appropriate analytical tools and in view of the experience of various nations in the world. to evaluate and design alternative public policies and institutions for socio-economic development under various political, social and economic conditions. to implement the policies effectively in a challenging political, social and economic environment. to work for or cooperate with various international organizations, NGOs, private firms and governments for enhancing socio-economic development of the world (in particular, low income countries), and participate more effectively in the process of improving living conditions of people under poverty.